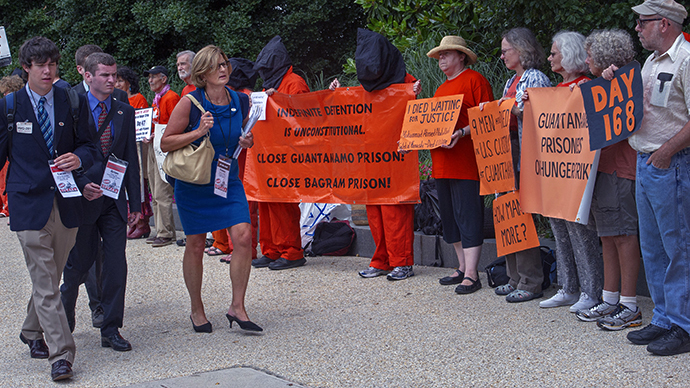 A hunger strike that started over a routine cell search and escalated into a worldwide debate on the future of Guantanamo continues. For some, it may have expedited a release, but to others, it has brought only humiliation. 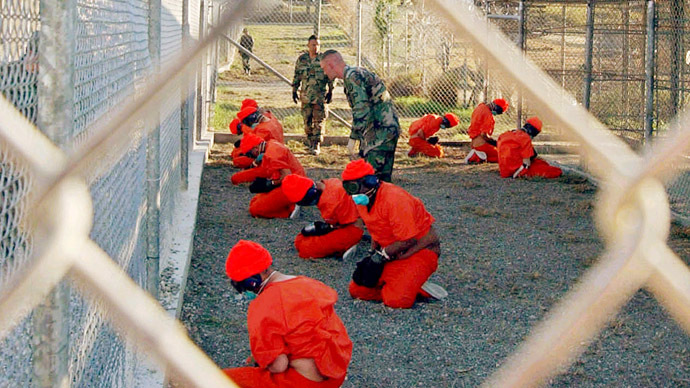 At its peak more than two-thirds of Guantanamo’s 166 prisoners refused food. More than 60 continue the strike at this time. It began in February when several prisoners accused guards at Camp Delta of confiscating their books, letters and other personal possessions, as well as restricting their activities, for no obvious reasons. Several inmates also said that US officers mishandled the Koran. But as time went by the strike numbers swelled, it became a protest at the ongoing existence of a prison in which more than half of the inmates have been cleared for release. Even General John Kelly, who oversees the facility on Cuba’s south coast, has admitted that when ‘frustrated’ prisoners have no hope of freedom or even a trial (only 9 of those inside have faced charges), there is little for them to lose. 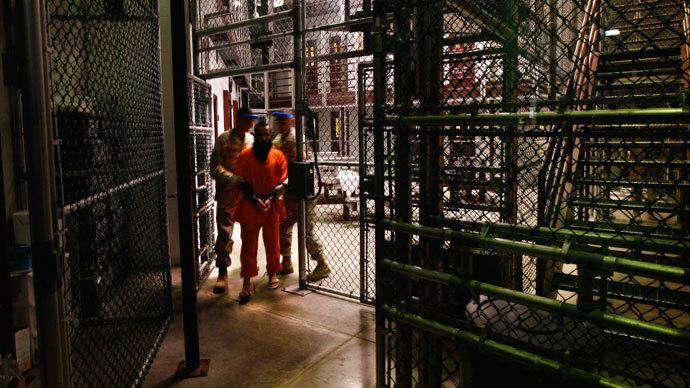 Despite US President Barack Obama’s repeated public opposition to Guantanamo, by the time the strike began, the chances for a legal resolution for any inmate were smaller than ever. For many of the prisoners, the US had deemed it unsafe to return them to their own countries, others were considered dangerous, but the evidence against them was either insufficient or obtained through torture and inadmissible in court (even if the torture had been performed by US allies in the first place). With each passing year of the Obama administration, Congress made it more difficult for the president to find a compromise. By 2013, the US defense secretary had to personally guarantee that each inmate would not commit any future crimes against the country, and territories where recidivism attacks had taken place were not eligible altogether – even in cases where the prisoners themselves had been ruled innocent. 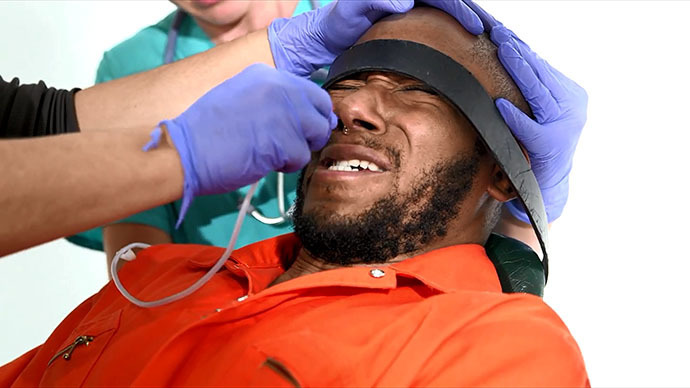 As prisoners began to collapse from low blood sugar, US officers ordered for them to be force fed, a practice that the UN Human Rights Commission has classified as ‘torture’, and which has been forbidden by the World Medical Association. At one point during the strike, over 40 of the inmates were subjected to the practice. During the once-a-day ‘meal’, captives, whom the US classifies as prisoners of war, are strapped into a chair, a tube is pushed into a nostril, and then a mainly protein-based solution is pumped into the digestive tract. The UN’s chief rapporteur on torture, Juan Mendez, spoke to RT on several occasions, and in his latest interview on Monday, he continued to say he has still not been granted the kind of access that would facilitate an in-depth investigation of prison practices. This included not being given access into certain areas, as well as the privilege of interviewing an inmate of his choosing privately – both of which are key to the work Mendez does as inspector. A newly appointed envoy to oversee Guantanamo looks like a commitment to take the issue seriously, says Mendez. But he also noted that the Pentagon official, who for years has been in charge of Guantanamo on issues of detention, has admitted after resignation that the facility needs to be closed. Both are signs of a move toward progress, according to Mendez. Accusations of misconduct, however, have continued to pour into the media – the most notable recent allegation having to do with sexual abuse and harassment. 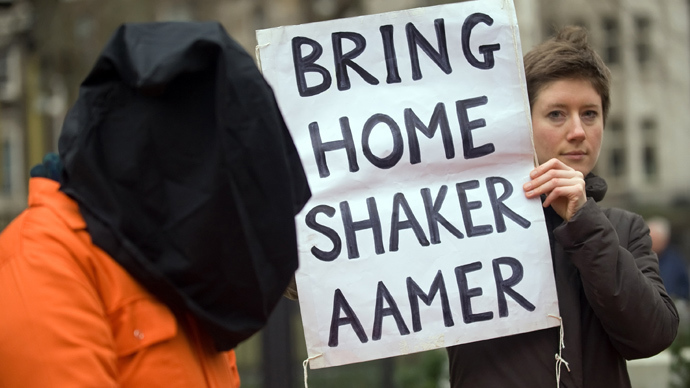 Shaker Aamer, the last British resident imprisoned in Guantanamo Bay, says he suffers from regular assaults, including those of a sexual nature, from the guards. He has spent more than 11 years there without charge. Yet Aamer’s lawyer Clive Stafford Smith told RT that his client will most likely be sent to Saudi Arabia by the US, because in Britain he is a crucial witness in a criminal investigation that authorities would allegedly like to disappear. The overwhelmingly anti-US coverage of the strike from media around the world, has spurred the US administration into belated action. Obama has stepped up calls for Congress to follow his lead in closing the facility. "Ten years with no hope, no trial [and] no charge,” for those inmates, Sen. Feinstein said. Now in addition to human rights error and the ongoing urging of President Obama, the escalating cost of keeping dozens of men locked up indefinitely could finally prompt that sort of response, especially during an era of sequestering that has stripped the Pentagon of much of its funding this year already. A little more than a week ago, an analysis, first provided to Secretary of Defense Chuck Hagel and made public last week, concluded that the cost of keeping the Pentagon open will amount to $5.242 billion by the end of 2014. Despite this, the Republicans maintain that any plans for release are putting American lives at risk. 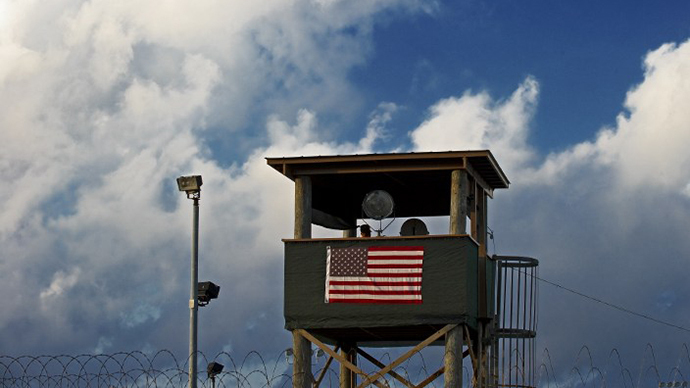 Republican reasoning is that the inmates wish America ill, and since they were caught on the battlefield, Guantanamo is exactly where they should stay.